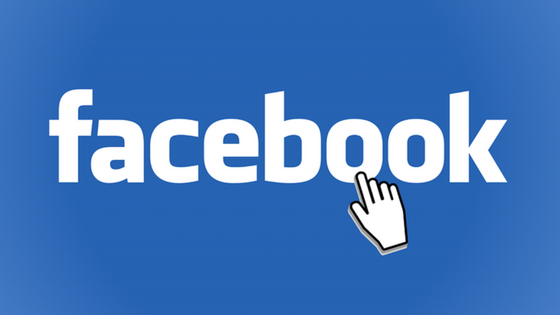 That’s right, Facebook now allows you to run contests from your Business Page for your fans. This is a great way of increasing your likes and followers and convert them into email sign ups by enticing them with a winning prize. Before I begin to explain what forms of competitions there are available and how exactly you create them, it is important to know the dos and don’ts of the Facebook Competition world. Ask people to tag others in the post in order to enter the competition. There are three different types of contests that you can choose on the Facebook Contest App. You find this app by searching for ‘Contest’ in the Facebook search bar. Form – This is a questionnaire that participants fill in their details in order enter the competition. Timeline – This is a post on your Business Page timeline that people comment on in order to participate. Instant – This is simply the click of a button in order to register to the competition. What are the benefits of these Facebook Contests I hear you ask? Well Facebook has already added a very handy feature that will draw a winner at random for you, saving you the hassle of trawling through comments and deciding. Even better, you can also export the details of each participant into Excel, allowing for the easy creation of Email lists etc. The competition collects the names, genders and emails from each participant’s FB profile. 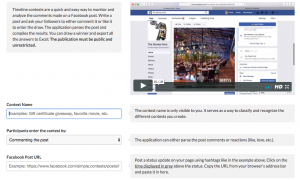 So how do you actually create a Facebook contest? Here’s an easy step-by-step guide for each form of contest. Please note that you can only view a maximum of 40 answers with the free plan included on Facebook. In order to remove this limitation you must upgrade to a Premium Plan. These are great for quick giveaways and interaction from your fans. You can also use the competition as an easy way to gather information or customer insight that could be of benefit for your business. For example if you were a dessert restaurant looking for a new dessert for your menu you could ask your fans to ‘Comment what your dream dessert would be’. This is the one contest that doesn’t work exactly the same as the others. That’s because with this, you need to create the post on your Business Page and then link it to the Contest App, whereas the other contests you would create the contest purely in the Contest App then share to your FB page. Post the competition as a post onto your FB Business Page. Remember to add an image to make sure it is as engaging as possible. Remember as this is on a post, you can decide to choose whether your competition is going to be a ‘like’ or ‘comment’ contest. Once the post has uploaded onto your profile, click the time, in most cases it will say ‘Just Now’, and the single post will appear on your screen, then copy the URL of this page. Search ‘Contest’ in the Facebook search bar. Choose a title for your competition. Choose whether participants need to comment or like the post in order to enter. You can now see who has participated in your competition and the comments they have entered. From this you can view the Participants page in order to view individual answers. On this page you have the option to export all details to Excel and to randomly draw a winner. Configure the contest; choose a contest title and a contest language. Choose and/or edit the questions that you want to ask your participants. On the next page, ‘Preview’, you can change the layout of the contest. This includes colour changing and questions layout. Finally publish your contest. Copy and paste the Share URL into a post on your page or use the Sharing Tools to post directly to your timeline. You can view the results of this contest on the main Contests Page and also view Statistics, Draw winners and Export data to Excel. Configure the contest, choose a contest title and a contest language. Decide the text that you want to be shown for the Introduction, Thank-you text, Closed contest text and Footer text. You can edit this with different font sizes and images etc. Decide on the layout of your contest. Choose the colours you would like and the button colour and label. Finally publish the contest to your page, either directly through the Sharing Tools or by copy and pasting the URL into a post. Again you can view the results, statistics, draw winners and export to excel when back on the main Contests Homepage. If you need any help with your social media strategy, feel free to let us know!